When is the right time to build a new product? Who should lead the charge: Sales or Product? Anna: When is the right time to build a product and who should lead the charge? Is it sales lead, product lead? What feature should you build and when should you build those features? Christian: When have you asked to many hypothetical product questions? Christian: Well, yeah I guess that's true and I think we will probably answer a lot of those questions today, But the truth is there is really a lot of moving parts when it comes to launching new products. Anna: Definitely, you have to be able to set a roadmap. Christian: Secure leadership buy in for that roadmap. Anna: But still be agile and aware of what your competitors are doing. Christian: Yeah, It'd a lot. In today's episode we are going to learn more about that as we talk with Jeremy Leventhal, Chief Product Officer at Springbuk. Anna: Springbuk is a health analytics software company. Jeremy has over 15 years of leadership experience building products and product teams, when he joined Springbuk in 2016 he was the companies first person oversee product. Jeremy Leventhal: My first order of business was a little bit more sales and business orientated. So it was not necessarily the product. I loved the look and feel of it, thought it was a great base for what we need to do. But the main thing was what where our outstanding customer commitments and just went through that list. We started knocking 'em out, we knocked 'em out over probably 2 1/2 months. Which got us to a really good base foundation of, okay now that we don't owe anybody anything. Essentially we cleared our list, what is the next thing to focus on. Christian: Once Jeremy got his knock out list done, he was able to step back and truly assess what was next. Jeremy Leventhal: I thought we were a pretty good spot from just a pure product foundation but from a business foundation making sure that the features that we said we were going to do, whether it was a brand new feature or whether it was an addition-just an enhancement to an existing one. Making sure that we built those in the right way to keep our current client base where it was and then think about what does expansion look like. Christian: To hear his perceptive on what it takes to launch a new product was truly insightful. Anna: A note to listeners their new products is actually called Insights. So please forgive Christian for that terrible joke. Anyway, he shares with us that when they launched their newest product Insights it was their most successful launch they had in company history. Christian: When it comes to software you can keep mining for new things to create endlessly. One thing Jeremy has been able to do really well is focus. He understands the importance of working alongside the sales team well staying connected to the end user, which is the customer. Take a listen. Jeremy Leventhal: I also like to be really strong on the business side. I think a great product manager has a really strong business head on his or her shoulders and not only is sales building their own pipeline, product should be building their own estimation from what sales is doing and judging where that goes. So to that point I think I work directly with the CEO's and COO's of a couple of these big companies where we made promises to. I said if we do X, Y and Z and put it in an email, put it in a kind of contract. If we do these things, are we on good footing and getting sign off on kinda of the initial project plan if you will. Once you deliver say this is how we delivered and getting sign off that we delivered. So being really, really rigid and saying this, again that's not agile software at all man, its a project plan of how we are going to execute to get to the house. Jeremy Leventhal: I think any good product shop should not just say, hey we're only agile. You should say we have a variety of tools in our toolbox. Some of these are waterfall kind of projects, a lot of it is just iterative, I call it not just agile, just iterative development and other things are just bursts of sprints of energy on things. I think you use those tools as you see fit, as long as you adhere to a philosophy. If that's an agile philosophy in general that's fine. Anna: So how do you manage, I always says this potentially a controversial statement right, the idea that you may be agile, or maybe you do waterfall here, or you do these bursts. Ho do you manage all those tools and manage all those different processes? Jeremy Leventhal: So I think if you look at the pie chart breakdown of the work that we do 90+ percent is iterative agile philosophy, agile breakdown and no one does agile the same. So in general we think about how do we roll out that minimum viable, minimum lovable product. How do we roll out the alpha , I'll even call it, forget about the MVP like how do we roll out something that we can get in customers hands in production that they can play with and give us feedback. We'll talk about some examples more later, but how do we get to that point as fast as possible and then do a variety of tests. These small experiments and then work your way up to this product that you feel like you can put a GA stamp on. Jeremy Leventhal: Generally available for everybody. Christian: I think a lot of times when you starting up a product, at least we're advising people to really keep it simple and focus on one audience. Cause if you try to do more then one your going to set yourself up for a lot of challenges. You almost have double the effort on everything, double the design effort, double the engineering effort, double sales effort. But here you are kind of the exception to that rule so I am curious how form a product perceptive you manage that. You mentioned through the design of having different interfaces, so how do you maintain that product? Because this is 2016 and now over 2 years later, you have seemingly successful. How have you sort of managed those multiple threads and balance and all the different needs of all the different users in the product? Jeremy Leventhal: I think the biggest thing we looked for was okay if this is a job to be done, we look at who's job to be done is it. Does it cross over personas. So we kind of score this sort of stuff. To the best of our ability right? Cause your not gonna nail every groups special interest. But there's a lot of overlap when you actually do look at it cause everyone is trying to operate off that same score card. Jeremy Leventhal: In that same slide I created like bar chart of, alright heres how many features we built that were specific for each type, and then I adjusted that bar chart over 2017 each quarter to show the focus. We spent a lot of 16 and 17 as you know getting kind of to market parity, how do we get to this place that our clients expect us to be at that the market expects us to be at. Maybe that some of our competitors might be at, so a little big competitor focused. So that we can then think after we get through 17 we can then layer in more innovation. Then I did the same kind of graph for how much work was client based worked in 17 into 18 , and how much became innovation and thought leadership, market kind of leadership through 17 and through 18 and we would also see the graph of getting to market parity vs innovation those lines crossing and moving in the direction that we want. Which is to be leading the market in the terms of the type of things we produce for employers. Jeremy Leventhal: Yeah and it also means that, you know, again, Pareto rule 80/20, I mean we want to get that 80 or 90 percent, and then what's the effort to value scale of that last 10 percent? Can we spend another 6 months just to eek out a few more percent, and will that matter to our clients? Christian: How do you balance, I'll steal Anna's thunder here but, you seem very knowledgeable on what your customers want. So what is that feed back mechanism look like for you? How do you handle that? You had a lot of data when you came in to start but over the last 2 years as your informing your roadmap, what is your role, your teams role, in engaging with customers or even maybe potential prospects? Jeremy Leventhal: These were sales. Actually some of what I told them was I'm not gonna build this new feature until you ask these five questions. So I think it created a culture of everyone thinking more product oriented and problem oriented. What are those problems we are trying to solve? We want them to ask a set of questions always when a customer requests a feature otherwise you can end up in, I know a lot of our colleagues, start ups around town, they share, you should build this, you should build this, and we as product people always have to ask why? What's the job to be done? And what problem are ultimately trying to get at? Otherwise, you're either going to Frankenstein build a product or you're going to build the wrong features and it won't go well. Anna: How did that help you? Jeremy Leventhal: They were coming back with a lot of great information about how the different personas, what problems they were trying to solve, how they were using the app, how frequently they were using the app. Kind of answer the larger question how do we get the information. Sure, user voice was a little bit, we made this army of great intelligence of people coming back to us with actually really good ideas. Rather than just a whole bunch of noise, and actually it became so good that I asked client success lead and the head of sales to actually funnel all the ideas through them, because there were actually so many good ideas, and then we had to start prioritizing. So I would say at that point even in '17 we were still sales-led road map. Kind of organization, cause we were still catching up, but we were getting great input. So we matched that input with as much data analytics and usage as we could, with user voice, with our own expertise, to pair together what our own product philosophy was and what we believed the market needed in that year. Anna: What's a product philosophy? Jeremy Leventhal: Product philosophy is probably a larger perspective of, what is your strategy for the year? What clients are you obtaining today? What partners are your bringing on? Where do you want to be? And then how do you skate where the puck is heading, in terms of your product, towards that. It's a living thing, it's not a science. I mean as much as we try to create processes around it I think it mostly and art. I think a good product person has just a good spidey sense, you just know that you are getting a product market fit. 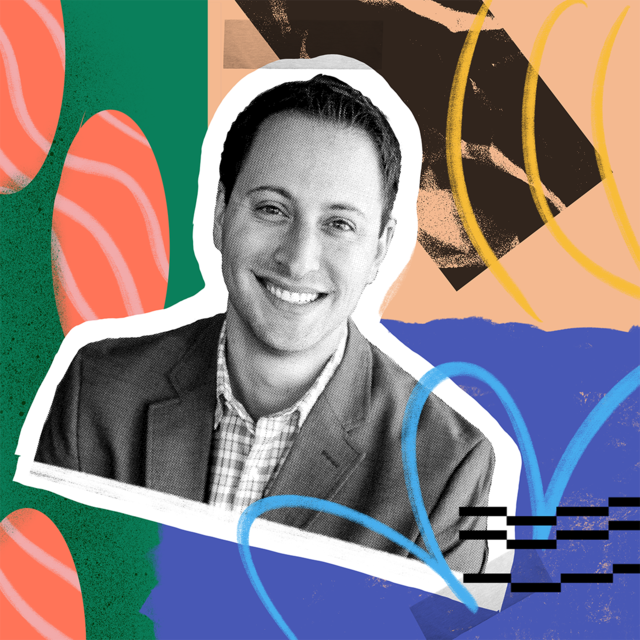 Jeremy Leventhal: You know when you are out on the front... Like I spent a lot of time pitching to perspective clients with our sales people, because I want to stay sharp. Its not just our current clients who are requesting things. Every chance I get in those sales meetings I'm pitching ideas. I'm pitching something that we're thinking of, I have had ideas pitched, like a real-time communication idea. I thought that might be a good strategy for us, I even presented it to the company that communication is a pillar of what we might do. As I pitched it more and more and more, after I presented it to the company people said, yeah this is really cool, I think I would use it, I don't think that's strong enough, I don't think that is a strong enough conviction to know to build something. To invest 6 months of 6 engineers to build something. Jeremy Leventhal: So as close as you can get to knowing that you should build that thing, I think there is just an art to all the techniques of arming your client team, getting usage and user data, doing client surveys and then being out on the sales front and just talking to people. Sure you can go to a conference, you can bring user groups together, which is great, but the best people for you are usually the ones who haven't bought your product yet and who have their own idea about the market and then you can consolidate the best of breed from that sales. Anna: So you're saying you would go into sales meetings, and you would pitch ideas? Jeremy Leventhal: I would come in there and I was brought into to talk about road map and the future and I would do that. Then I would go well since I have you all here, here's something we're thinking about, is this something you would use? How would you use it? And I would kind of interrogate that for 5, 10, 15 minutes. People loved to talk about it. They love to talk about where the industry is heading and if we built this how would you use it? Would you use it? How frequently would you use it? And so I think we always try to sneak in those questions because sometimes with a salesperson there's just a different level of trust when you're in a sales meeting. You have a sales person they bring in the product person, its like oh this product person is not going to lie to us. Their friendly, their telling us exactly what's going on and versus a sales person presenting roadmap, is it really going to happen? You don't know if it will really come true. Christian: A lot of sales teams might not be as comfortable with what you're describing and I think they might feel as if pitching too much of a future vision that you can't deliver on might make, you know, create some anxiety, so I am curious how you've handled that with success. Jeremy Leventhal: Yeah, No that's a great point, so again when we, when I am into the company in '16, you know as I mentioned about that list of 23 items we had a lot of outstanding commitments because things were pitched. So back to the product philosophy too what we show, usually we have a pretty good confidence level that this will be done next sprint, next month, next quarter or within 6 months. Jeremy Leventhal: And I think there's a Mick Ebeling wrote a book, and one of the, I heard him talk as well, great, he said commit then figure it out, and I think there is a time and a place were you should actually take the leap and go you know I'm not sure how we would do it or if we going to do it but we have talked about it, we should commit to this in a contract and its a good thing for our business and yes engineering might get a little crazed, because we committed something big and we weren't quite sure, but you have to take some of those leaps I think to get to greatness. Jeremy Leventhal: But then you have to pair that with a more systematic process that you work with your engineering team you let them be autonomous to say, here's what we can actually do by next quarter, and we are implement some of these processes now that I presented our leadership meetings what our engineering team said we could do by the end of March is this. Probably from the top down saying by the end of March we are going to do X, Y, Z. And so I think it's a cultural shift too, but not going too far out in those sales meetings to kinda share what we have high levels of confidence that we are gonna achieve. Christian: So when you said 2017 was still sort of sales-led, what did you mean by that? Jeremy Leventhal: I think it was still kind of that market parity. It was still getting up to speed. What are our competitors doing that we're not? Where's the market expect us to be? What are some of the features and functionality that we can't do or that we feel is the future? Knowing that our industry moves slow, we're like hey we don't want any more paper reports, you remember this, this is like a big charge, no more paper reports. But the world still runs on these paper reports. And brokers will still come to meetings with heres how you're doing, and its not like you come with your laptop and you airplay it up on the TV and you're like heres how we're kind of looking as a... and here's the things that we did and here's how much we saved. Its still kind of these reports. So its hard as an organization who's really progressive who wants to disrupt the industry and say well we know we have to serve this progressive piece and this is where our vision is, this is what our mission is, to take a step backward to make sure we're surviving the rest of the more traditional world. Anna: How do you balance that? Pushing people to think differently but also serving existing needs? Jeremy Leventhal: Well, human behavior is a hard thing to change. There's areas where you can change it, there's areas where you can't change it. So I think when we build product, again that product philosophy piece we try to build things that are progressive, knowing that we can hold hands along the way and that we believe through usages, just through simplicity, through just pure efficiency you can go down this route or you can do it a lot easier way. Christian: So as you shift from sales-led to product-led end of 2017 going into 2018 lets dive into that a little bit. So what does that mean to you? Jeremy Leventhal: I mean a lot of strategy sessions with the product team, consulting all of the leaders with all the divisions. A lot of one on ones, testing out ideas. It was a really cool moment because I think we acknowledged that we had what we needed to sell the product today. Jeremy Leventhal: So if we built nothing new, we felt like we could go capture X percent of the market just with this and that's a great feeling. But it's a scary feeling because now you realize you're in charge of what is the next great thing? Are people interested in that great thing? Jeremy Leventhal: Back to that communication idea that I had, that was one of the potential next great things. As we did more testing, and we were out in the field there we found out that it wasn't. However one of the 3 pillars we had, we had communication, connectedness, and insights kind of was another area. So we actually ended up probably doing one of those three, and one of those three led to one of the biggest second product launches in the history outside of the core product called Insights. Christian: So before we dive into Insights, What told you those others were not? So communication you felt pretty strongly that was a way to go. You got out in the field, what was the moment, how did you determine that this was not worth it? Jeremy Leventhal: You don't build cool ideas. You build really cool ideas that also meet direct market needs or solve problems that your customers didn't know existed, or are very direct problems that your customers are saying existed. I feel like we would have build a solution for a problem that was sort of there and people weren't excited enough. Christian: You already decided to do a new product. You had that commitment that Insights was going to be it. When you start building it did you know at that time what your strategy was for rolling it out? Did you know that we're going to do it for this one customer? Jeremy Leventhal: I think we were already building it and then the customer came along and it was a big customer and we had a opportunity to win the deal by stretching, and I think we had a level of confidence with our team that we could do it and we stretched to do it. Christian: So the stretch goal to win a client was effectively what became this new feature? Jeremy Leventhal: We said, who's interested? Yeah and kept it you know keep some shroud of secrecy keep some excitement around it. So you had to be invited, you know but we would offer it to our clients. Anna: Ooh, I love those, so fun to get. Jeremy Leventhal: Yeah and then, we had like a hundred and eighty different users, using it. We were tracking how frequently they were using it. We were tracking which Insights they used. We were tracking which areas they clicked on in the card. Christian: Why in February 2018 did you not just roll out this Insights feature to everybody? Why did you gate it behind a beta? Jeremy Leventhal: So I think if you're in a beta and you're soliciting feedback, and you're soliciting from a smaller group of friendlies and people you trust, who are experts. You get to operate on your speed. And people understand its a beta. They understand things are gonna change and they might not work. You build a new product how many bugs are you going to find? What's not going to work? You open up the flood gates immediately. You run the risk of, hey we're there quicker, we're there faster maybe we can sell quicker, but you can create a huge strain on your engineering product team. Christian: So you're giving it away for free during the beta period. At some point in your talking about how to price it, once the beta period is over, how did you communicate the pricing to the people that were using it? Were you talking to them throughout that period? Was it just sort of like, okay it's over here it is. Jeremy Leventhal: Tricky, so some customers probably got the sense that it was just included so we had to deal with the, you're already paying for this and really show them the value, even though they were using it, and well I thought you said this was part of the package. So we grandfathered in some people, you target also renewal times. Saying like, look this is a new product there's a price tag associated with it, you're going to get it for free for this period of time, we'll talk about it again at renewal. Then hopefully you can't live without it, its a part of your workflow. And then a lot of just pricing exercise and science. Christian: Would you have done anything differently as you rolled out this product? Jeremy Leventhal: I just, I'm so proud of how we did it. It's one of my favorite like achievements of my career. Anna: Varying opinions on whether its best to be first in market or best in market? So what are your thoughts about that? Jeremy Leventhal: I think there's no right answer. And I think it is situational and it depends on the market that you're in. You look at the Silicon Valley wars, the things that happened on the west coast with all the tech companies. A lot of it is just getting first to market, getting the marketing machine going and we're doing this thing, we're doing this thing, we're innovating. You know we're really seeing this open source thing. So there's a place for it in marketing there's a place for it in sales, in salesmanship, to say we are the only ones doing this and that like a big thing of mine too. I love saying we're the only ones in the world doing this. And that's a great sales piece that's also an inspirational piece for everyone that works for you. Right? We're the only ones in the world doing this, we're the first people doing this. Jeremy Leventhal: But there's a lot of cases I think where that's not necessarily the best thing to do. You always wanna be first to market and again look at many examples of things that were first in market best in market iPod wasn't the first thing to market the Zune was. iPod won Zune lost. Jeremy Leventhal: Oh, Friendster right yeah. Facebook wasn't the first thing there. So I think its hard to look at it, but sometimes and depending on your industry you can create groundswell and you can create a brand and people just know that thing. Jeremy Leventhal: I think it's the value of, if you look at an X an Y axis of, what is the value of what you're creating? And what is the effort to create that thing? And how much have you already met of what you feel is the problem? Christian: That was Jeremy Leventhal, Chief Product Officer at Springbuk. You can check out what he and his team are up to at spingbuk.com. Anna: So this is the part of the show where bring in someone from Innovatemap to get their thoughts on, and for this episode we really wanted to bring in Lacey Lavies, our resident product manager expert. So just to start let's talk about customer feedback. So this is something that he talked about a lot, he's very customer informed, he's going on sales calls, he's getting feedback from customers. How do you coach entrepreneurs, product managers, anybody who has to deal with customers? How do you coach them on how to deal with product feedback? Lacey Lavies: Feedback is something I am deeply passionate about because I think people handle it incorrectly a lot of the time. So it's really easy especially when you're in the start up phase to respond to any request that people are asking of you because you want to make them happy. But I think what's really important is to understand, kind of the general applicability of some of the feedback that you're receiving. So that means, how is this going to impact the other 100 customers that I'm going to have in 3 months, 6 months? Anna: What if you don't have many customers? Lacey: You don't always have to go around asking people. I think that's a mistake people make too. They hear feedback, they want to validate it so they just go ask their other 4 customers if this you know makes sense, or if they have this problem. And I think you have to approach from a little bit of a higher level. Rather then asking them direct questions you have to try to get at the pain that they're experiencing. Anna: Give me an example of a like customer feedback and how would you kind of get at the actual, what's going on there. Lacey: So you have to validate it for general applicability. I think that's step one. And there's various ways of going about that, For sure you could talk to other customers but like I said you don't want to basically ask them are you having this problem, repeating what the other person said. But rather asking them questions about that area of the product. How they're using it? What's frustrating to them today about it? Rather than asking them a leading question that could lead you to bad feedback. Anna: Jeremy talked a little bit about his like spidey sense, about how when he's talking to customers, or in sales meetings, or whatever, he get this sense for what would be a good feature or he can tell what they're asking for. How do you think that your expertise helps you determine the customer feedback to act on or that's not a good idea. In the early days you wanna please people, you wanna make your customers happy. So a lot of times you're just acting on feedback. You're hearing what the market is saying and your reacting to it. I think that's where a lot of product managers get stuck in that world, where they are just continually reacting to customer feedback. Lacey: In the early days you wanna please people, you wanna make your customers happy. So a lot of times you're just acting on feedback. You're hearing what the market is saying and your reacting to it. I think that's where a lot of product managers get stuck in that world, where they are just continually reacting to customer feedback. Lacey: There's a saying and I don't know who to attribute it to, but they say that most of your users will use about 20 percent of your product. So all of the other 80 percent, like a lot of times its just ticky tacky things that people have asked for that you think matter at the time but when you step back and you start to think about the key workflows of a certain user, of your target user. Maybe its your sweet spot for your software, a certain type of user, a certain type of customer of yours that is just like a great fit. And they go through a specific work flow and you really want to master and perfect that work flow. I think that makes a lot sense versus a reacting to feedback that might be on a feature that doesn't get a lot of usage. Lacey: That's another point to think about, the impact, what percentage of your users are gonna be impacted by a change as well. Christian: One thing you said too, reminded me of something Jeremy said, was your talking about product managers getting stuck during the ticky tack details or just being reactive. Jeremy mentioned talking about, you know, how to push things forward. I think he said cool new features that were also driven by the market. So I feel like up until this point we've talked about how you handle that customer feedback but then there's that next challenge of, cause you could easily just take that and just turning through that there's nothing spectacular. But how do you then take, handling that side of the product management but then like okay, your role is also to create something cool that is market driven. How does a product manager handle the day to day tactile improvements to a product with the forward looking next generation market leading features? Lacey: One helpful perspective to have on that is that you have carve out time for the new. Otherwise, you will be consumed by what people are asking for. It will take over and keep you busy for a long time. And you'll make your current customers very happy but you won't necessarily be securing the number of new customers that you're looking for. So I think first step is carving out the time. The second part that feels very simple to me but that people don't always do, like continuous communication with your customers, and understanding kind of their life outside what your product is currently solving for them will open up opportunities, identify pains that you didn't even know they had. Because you weren't asking about them. Because your current product doesn't address them. Lacey: But really getting to know your target users day to day. What are they using other work arounds for or other tools for that you can maybe a step into the process. I think looking at analogous industries is another thing that we tend to do a lot of here. There's a lot of innovation that is happening in other industries, that could very well be applicable to what you're doing. Christian: What is that? Yeah tell us the analogous part. So analogous industries what does that mean? Lacey: So a lot of times in SaaS software, kind of any other SaaS software could in an analogous industry I know a lot of people today are really hot on Slack and Airbnb and Uber, and these are just the example that we all look to because we have great experiences with these applications. So there's a lot that they do in how they onboard their customers, the self service aspect of their products, how easy it is to use. You don't need training, ongoing customer engagement. Like all of these thing. Maybe you wouldn't think about them as product features, could very well be very impactful to your success. Anna: I want to recap what you just said because I think its really important. In order to kind of help product managers, or as a product manager to go beyond the day to day feature request. So carve out time for it, number one. So that means time in your day, space in your roadmap, dedicated to new and different things. You also mentioned to understand your customers outside of your product. So where are the potential workarounds where are they pains maybe if you were just asking about the product you wouldn't see, you wouldn't hear, you wouldn't be aware of. And then the final thing you mentioned was analogous industries, so looking at other types of software or other products that may not be direct competitors, may not play in your space but have potentially applicable patterns that you could use, copy, or leverage. Anna: Thank so much for listening to the show this week. If you haven't yet be sure to subscribe, rate and review this podcast. Until then, visit innovatemap.com/podcast and subscribe to learn how you can take your product to the next level. As always, we're curious, what does better product mean to you? Hit us up on Twitter @Innovatemap or shoot us an email at podcast@innovatemap.com. Anna: And I'm Anna, and you've been listening to better products. Drop Mic.